This is another one of the single cask releases from the Creative Whisky Company. Glenrothes is another Speyside distillery that primarily focuses on producing spirit for blends (Cutty Sark has Glenrothes as a major constituent) - only 2% of their output goes into single malts. Ownership is somewhat peculiar - the independent bottler Berry Brothers & Rudd owns the rights to the Glenrothes single malt brand, but the distillery itself remains in the hands of Edrington, owners of the more famous Macallan and Highland Park distilleries. I've heard very mixed reviews of Glenrothes before - a lot of people actively loathe their single malts, but a few people seem to enjoy them. Sifting through, it seems like sherry casks and age help a lot. Thankfully this particular whisky has both. This whisky was bottled from a single sherry cask at 52.3% without chill filtration or coloring. Thanks to Helen at ImpEx Beverages for this sample. This is a very nice, but slightly generic Speysider. The sherry provides most of the interest, given the experience structure without overwhelming the malt. I like the way that there is a progression of flavors, rather than having them hit all at once. The fact that the structure significantly rearranges with a bit of water makes it an even more interesting experience. This one comes down to QPR. The one place I've seen online that appears to have it for a reasonable price is Specs down in Texas. Everywhere else it's $130 and up, which isn't something I could swallow. Closer to $100 I think this would actually be a decent buy. 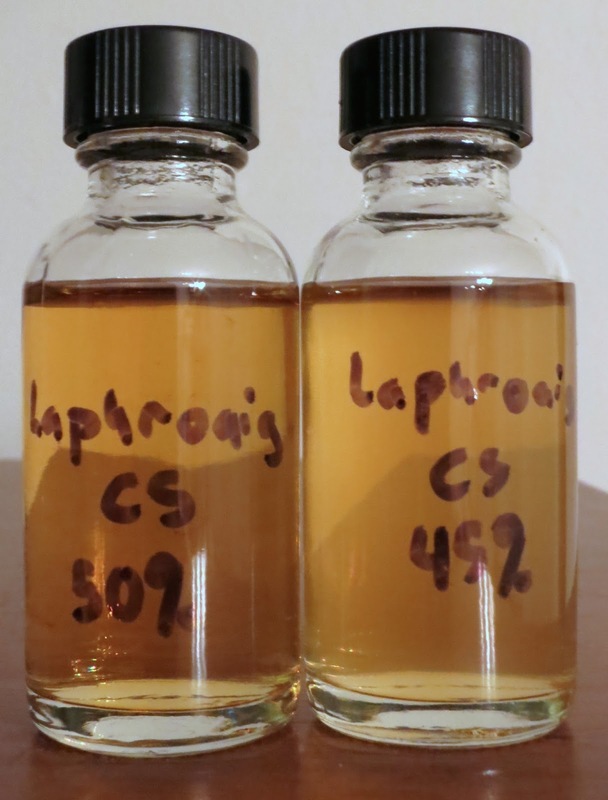 While Bowmore was the subject of derision for a number of years due to issues with their distillate in the late-80s and early-90s, there has been a resurgence of interest in recent years as their late-90s and early-2000s distillate becomes mature enough to bottle and the potential of the distillery has been emphasized with growing interest in older bottles like the Black, White, and Gold 1960s-vintage Bowmores. On top of that, recent special releases like The Devil's Casks have sold out in record time, suggesting that even their younger spirit can attract a lot of attention. What we have here is a refill sherry cask from 2013 that was bottled by The Exclusive Malts at 58.4% without chill filtration or coloring. Let's see how it measures up. Thanks to Helen at ImpEx Beverages for the sample. Nose: perfectly balanced peat smoke - right in between ashy, tarry, and vegetal, undergirding oak tannins, subtle sherry influence, crisp/dry Bowmore malt (seriously takes me back to standing on their malt floor), a touch of meaty sulphur, light maritime notes, some of the off wood notes I found in Devil's Casks. 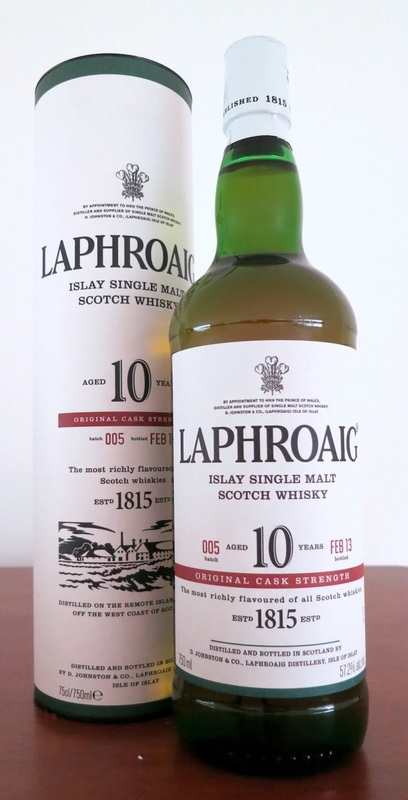 After adding a few drops of water, it becomes greener and fresher, with the peat fading slightly and shifting into a wood/fresh peat smoke mode, while the sherry continues to peek around the edges with brighter and lighter character. Taste: clean malt with restrained sweetness up front, segues into dank sherry, which slides into tar, peat, and cigarette ash, with some almost wine-y oak tannins underneath, resinous pine/cedar right at the back. After dilution, the palate becomes much more tame - the sherry becomes brighter and slides forward over a lot of the malt, while the peat becomes much more restrained and fudge-y, though the odd resinous wood notes at the back now seem more obvious. This just about makes up for the god-awful 2002/2013 Exclusive Malts Bowmore that I tried earlier this year. This is almost exactly what I want out of a sherried Bowmore: their distinctive malt character, waves of tarry smoke - all barely held together by the sherry influence. The flavors don't beat you about the face like some cask strength whiskies, but they're gripping. This is also much, much better than Bowmore's own Devil's Casks - the sweetness is less unsettling, the sherry is less overt, and the weird wood notes are much less aggressive. As always, the sticking point is price. The best I've found - and there aren't many places that appear to have any left - is north of $100. Sadly, much like indie Laphroaig, that's just where the market is for Bowmore right now, double if it's from a sherry cask, because the distillery just isn't selling many casks anymore and demand has grown exponentially. But if you're the kind of person who likes Bowmore enough to pay the prices asked for Devil's Casks or Dorus Mor, I think you'll be very, very pleased with this one. I'm tempted, but it's just too far over the odds for me to pull the trigger.